Business would like to have a report in Salesforce to list number of opportunities owned by a sales rep, include information of number of closed won opportunity with target of number of report for each sales rep.
3. 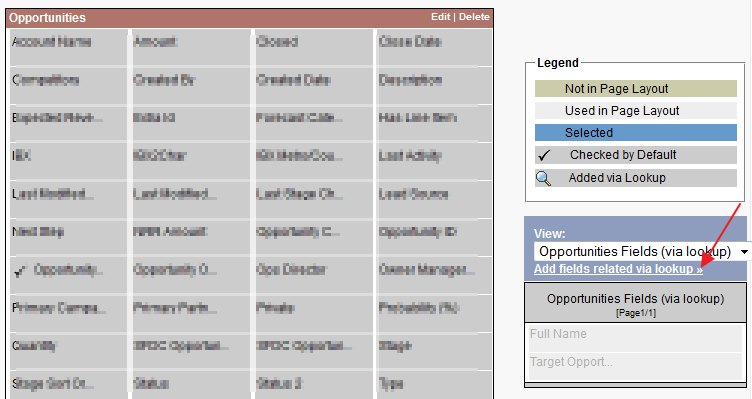 In the report type, add custom field created to the Custom Report Type from Add fields related via lookup » then Select Opportunity Owner >> and fields needed. Select joined report, add report blocks, set filter and date range for each block then and add fields needed. You also can Add Formula and Cross Block Formula as needed for the report.